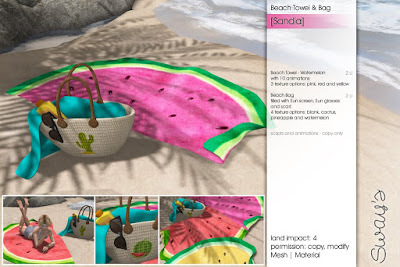 For FLF I have two brand new items for you. 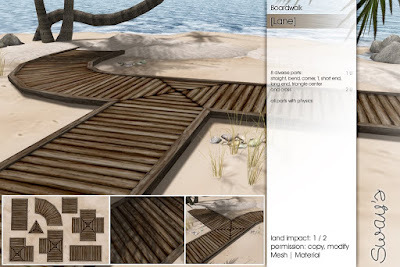 and a Boardwalk set to build your own path on the beach or wherever you like. 4 texture options: blank, cactus, watermelon and pineapple.